Because of the mild winters, every autumn thousands of flamingo birds migrate to Lefkada for the winter. 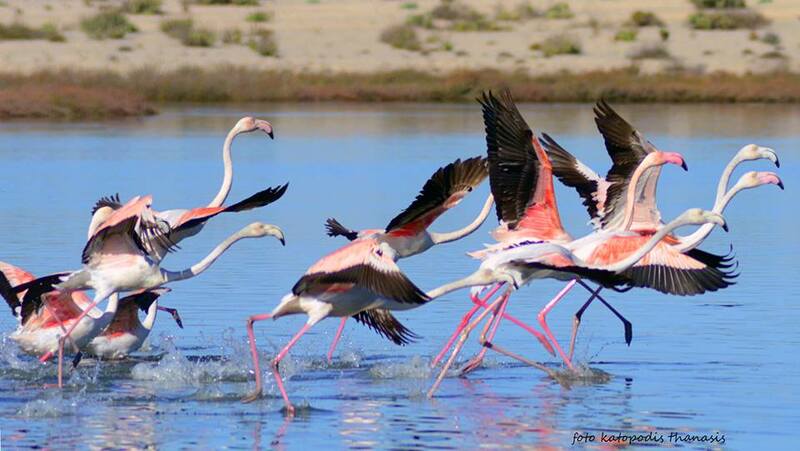 Click below to view a spectacular YouTube video by Kostas Kolovos of flamingos in Lefkada. Truly a sight to see!